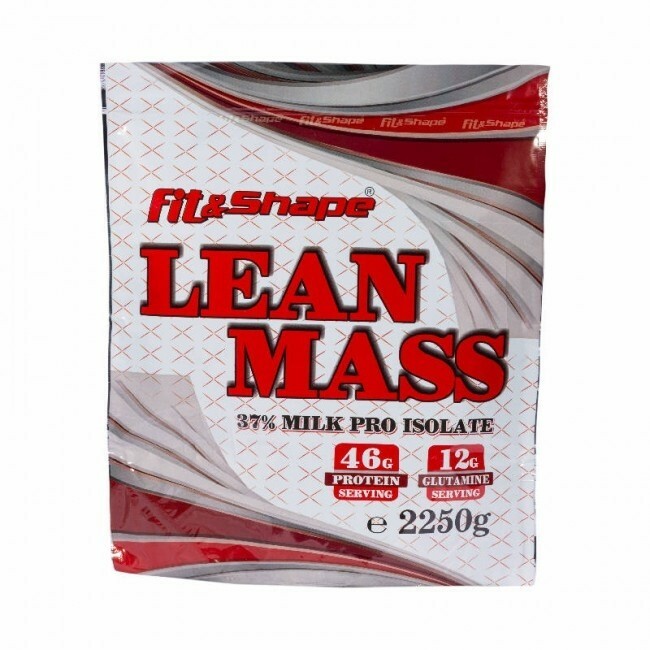 Lean Mass® is a protein gainer with 37% Protein and 0g Sugar. Contains slow protein for gradual release of amino acids to muscles. 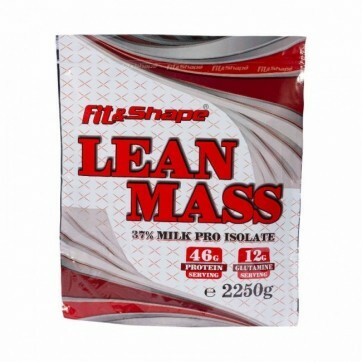 High protein weight gainer with 37% protein per serving for fast muscle growing. SUGAR FREE and contains only 2% Fats. It contains only slow milk proteins that will nourish muscle with amino acids long after its intake. Each dose contains 46g Protein and 12g L-Glutamine, which are extremely important for the rapid recovery of tired muscles and their growth. The added vitamins, minerals and food enzymes will help in the proper digestion of nutrients. Dietary fiber will protect the stomach from "weight" with increased calorie intake during the day. Creamy taste with natural ingredients. Suitable for people with rapid and slow metabolism. It does not contain sugars and can also be taken in the evening before sleep. Its high glutamine content will ensure rapid muscle growth and proper recovery after physical exercise. Mix 4 spoon (125g) in 500-600ml of water or milk and shake well with a shaker. 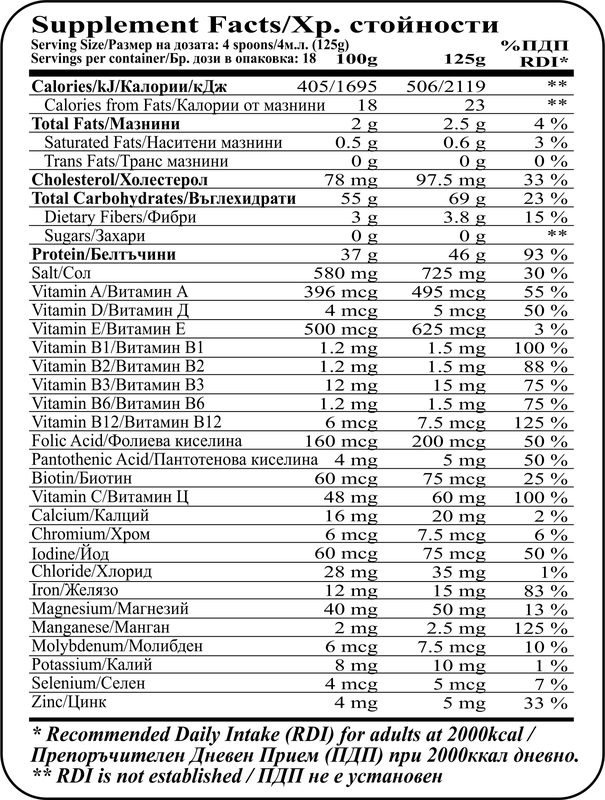 Maltodextrin, milk protein isolate (milk), calcium caseinate (milk), stabilizer: carboxymethyl cellulose, l-glutamine, oligosaccharides, premix of vitamins and minerals, flavorings, colorants: vanilla (none); Banana, melon, peach, tropical (minimum fruit content 2%) (beta carotene); Cookies with cream, chocolate cake, chocolate coconut, Irish cream, hazelnut cream (cocoa powder); Strawberries, berries with yoghurt, raspberry, cherry (minimum fruit content 2%) (carmin), sweetener: sucralose, acidity regulator: citric acid, food enzymes: amylase, protease.